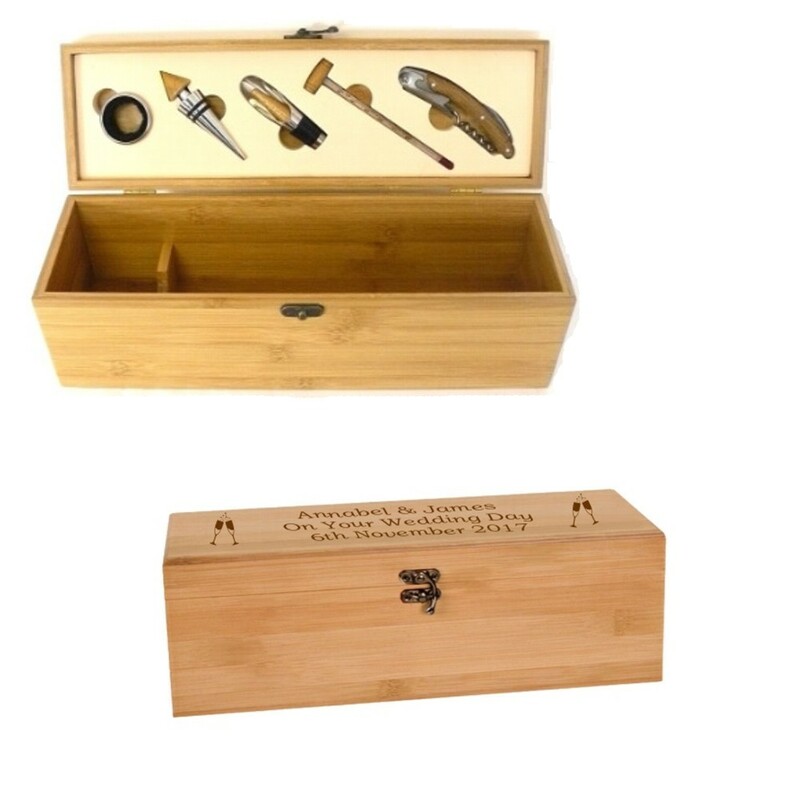 Personalised Engraved Bamboo Wooden Wine Box Set. An amazing bamboo wooden wine box with hinged lid. It measures 36 x 10 x 12cm and comes with the 5 tools in the lid as shown. All you need to do is let us know the personalised text you would like engraving and if you require the images as shown in the picture.